4 ‘Your father and I have been friendly rivals in business for some time now’ – After a few pleasantries, Birling cuts to the chase with regard to why he is so pleased that Gerald and Sheila are to wed. An alliance between the two companies (and the Croft business is the bigger of the two) is expected to lead to ‘lower costs’ (through lower wages) and ‘higher prices’ (through a price-fixing agreement maintained by dominant market share). The latter strategy is acting in ‘restraint of trade’ and would have been technically illegal at the time, though there would, doubtless, have been many examples of it happening then, as there are now. By colluding in what they are prepared to offer their respective workforces – assuming they have no other major competitors – the Birlings and the Crofts can effectively lower wages to a point just about the level that would force workers to abandon Brumley altogether and attempt to find work elsewhere. 4 ‘And I think my father would agree to that.’ – Given that Sir George has nothing to gain socially from Gerald marrying Sheila, the audience may presume that this is his main motivation for approving the marriage. 4 ‘All wrong.’ – Sheila is understandably aggrieved that her marriage is being talked of in terms of a business transaction. 5 ‘I drink to you, Gerald.’ – The fact that this is said in a ‘quiet and serious’ manner – and Gerald’s response – indicates that there is genuine feeling between the two. 5 ‘Steady the Buffs!’ – The equivalent of ‘Don’t break ranks’, ‘Hold your horses’, or perhaps in this case: ‘Don’t let your feelings get the better of you’ (Sheila has just kissed Gerald). The ‘Buffs’ were the Royal East Kent Regiment (the soubriquet deriving from their buff-coloured waistcoats and the facings on their tunics) and the phrase ‘Steady, the Buffs’ was first used by Lieutenant John Cotter on a training ground in Malta in 1858 when a battalion of new recruits were parading in some disarray. The phrase was echoed in mockery by another regiment and eventually entered the language, becoming synonymous with aristocratic notions such as ‘keeping a stiff upper lip’. 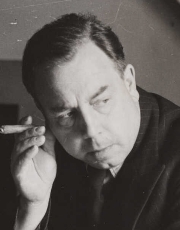 J.B. Priestley is on record as disapproving of childish, aristocratic slang. 5 ‘Now Arthur if you’ve no more to say’ – Mrs Birling is conscious that her husband is likely to embarrass himself in front of Gerald and wishes to draw his speech to a swift conclusion. It was normal in aristocratic circles for the ladies to retire after a meal, allowing the gentlemen to smoke. 6 ‘you can ignore all this silly pessimistic talk’ – The world of the Birlings and Crofts was about to change dramatically in the next two decades: first would come the Great War in 1914; then the General Strike of 1926; the Wall Street Crash and the Great Depression of 1929. Priestley’s audience in 1946 would be aware of all this and that they were looking back on a world that no longer existed. At the time the play is set there would, doubtless, have been pessimistic talk about a future European conflict and, in a moment, Birling reveals that the National Coal Strike (April 1912) has just taken place. This had been a major victory for the labour movement: about a million miners across the country had taken part and within a month the government had caved in to them and passed an Act of Parliament guaranteeing coal miners a minimum wage.